One hundred and fifty-seven years after Gustav Mahler’s birth on July 7, 1860, he could hardly have imagined a better birthday present than the performance of his Second Symphony, the Resurrection, that Andris Nelsons and the Boston Symphony Orchestra gave to open Tanglewood’s 2017 season. 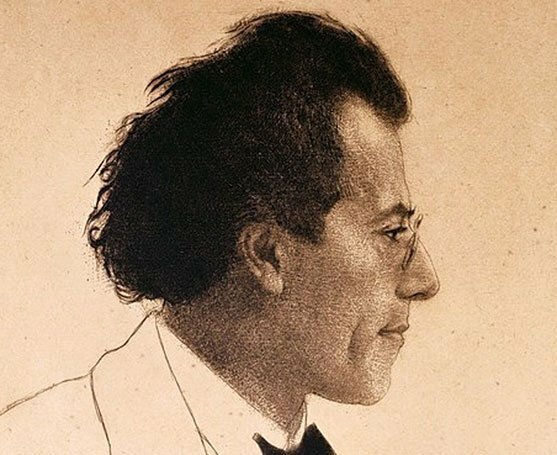 Mahler premiered the Resurrection in Berlin in 1895, to a mixed reception. The certainty of its redemptive Finale would give way to the pantheism of his Third Symphony, the mortal humor of the Fourth and Fifth, the mortal tragedy of the Sixth, the mundane humor of the Seventh, and the death struggle that is Das Lied von der Erde and the Ninth and Tenth. But Mahler never outgrew the hope of the Resurrection. It was the piece he conducted at his Vienna farewell concert, after he had resigned as director of the Vienna Hofoper. It was the first of his symphonies that he conducted in New York (1908), and the first that he conducted in Paris (1910). The Resurrection symphony also prompted the late New York businessman and financier Gilbert Kaplan to acquire the autograph manuscript of Mahler’s score and take up the baton. Kaplan conducted Mahler’s Second on more than 100 occasions, and he recorded it twice, with the London Symphony in 1987 and the Vienna Philharmonic in 2004. Kaplan’s philosophy of the Resurrection was that the angels are in the details, but there’s more to the heaven of this symphony than his literal readings dream of. On a rainy Friday, Nelsons took it by the devil’s horns, so to speak. You don’t need Mahler’s program to understand that the opening Allegro maestoso is a funeral march, or that it’s the hero of his First Symphony who’s in the coffin. But that opening outburst in the cellos and basses can be calm and resigned or big and angry. Nelsons went for big and angry. Recorded timings for this movement range from 17-1/2 minutes (Otto Klemperer in 1951) to 25-1/2 minutes (Otto Klemperer in 1971); Nelsons took 25. He gave the initial theme drama, space, and articulation, making palpable those bars where the cellos and basses, now downward slipping, recall the passage in the first act of Wagner’s Die Walküre when Hunding orders Sieglinde to prepare food and drink for Siegmund. The wistful, yearning E-major second theme was fraught, almost self-consciously so, but on its second appearance, in the development, Nelsons conjured what T. S. Eliot called “the agony in stony places.” He was ferocious where Mahler introduces the plainsong “Dies Irae” (“Day of Wrath”) to the march, then tender when the yearning theme rises to a hopeful F-sharp, a moment many conductors gloss over. The coda was measured but never sagged. Mahler marked a five-minute pause to follow the Allegro maestoso. Perhaps he thought his audience would need that much of a break to recover from the gravity of the first movement; perhaps he thought that the Andante moderato would be jarring if it followed immediately. Contemporary audiences hardly need five minutes; conductors these days usually take a brief pause. Nelsons took three minutes, which seemed just right. The Andante moderato flashes back to happy time in the hero’s life; Mahler’s program describes it as “a memory, a ray of sunlight, pure and cloudless.” The movement has been described as both a minuet and a Ländler; Nelsons gave it the courtly delicacy of the one and the rustic sway of the other. One could have asked for more animation in the stately first trio, but the transition from the second trio back into the main subject was seductive, and the drawn-out conclusion was a benediction. In the third movement, I lost Nelsons’s thread. Titled “In ruhig fließender Bewegung” (In Peacefully Flowing Movement), it’s Mahler’s remodeling of his Des Knaben Wunderhorn song “Des Antonius von Padua Fischpredigt,” wherein St. Anthony, finding his church empty, goes to preach to the fishes, who listen attentively before resuming their venal ways. Mahler describes the movement as a return to “this tangled life of ours” after awaking from the “blissful dream” of the Andante moderato. “Peacefully flowing” describes what Nelsons gave us, but at his moderate tempo the movement was mild-mannered, with no hint of mincing sarcasm, and the climaxes didn’t have room to register. Even the moment when the ocean seems to open up and reveal Wagner’s Rhinemaidens wanted magic. Mahler was, he tells us, at a loss as to how to redeem this “distorted and crazy world” until, in 1894, he attended the funeral of conductor Hans von Bülow and heard a choir sing a setting of Friedrich Klopstock’s poem “Auferstehen” (Rise Again). In short order, he fashioned the final two movements. The fourth, Urlicht (Primal Light), adapts another of the composer’s Knaben Wunderhorn songs. Nelsons’s mezzo, Bernarda Fink, sang without a score and with admirable purity and gravity — she never sounded operatic. She also conveyed meaning without overenunciating. What she didn’t do was project. Mahler concludes the Resurrection with his own version of the Klopstock chorale, but not until the Day of Wrath arrives and the dead rise, march, and stand for Judgment — though as Mahler advises us, “There is no Judgment,” only “A feeling of overwhelming love.” This fifth and final movement sprawls and is hard to hold together. It begins in chaos before we hear the “Resurrection” theme, which, it turns out, is a rhythmic variation on the “Ewig” motif from Wagner’s Siegfried: “Ewig war ich, ewig bin ich” (Eternal I was, eternal I am) is what Brünnhilde sings to Siegfried after he’s braved her ring of fire. You can hear a foreshadowing of the “Resurrection” theme as early as bar 48 of the Allegro maestoso — which makes you wonder whether Mahler didn’t know where he was going with this symphony from the outset. I wasn’t always sure where Nelsons was going either. This movement was mighty Mahler at the decibel level but some sections were hustled and others went so slackly that the phrasing flatlined. The soprano, Malin Christensson, had sung previously with Nelsons and the BSO in February’s Bach B-minor Mass; she was pleasing then and pleasing Friday, but she rarely rose above the tumult. 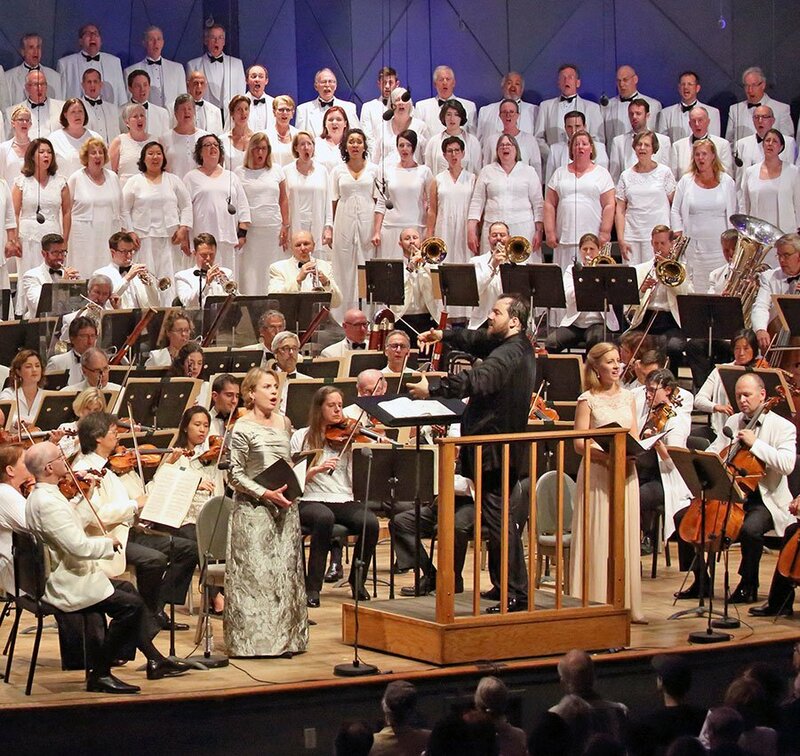 What Mahler called “Der große Appell” (The Great Call), however, was perfectly calibrated — antiphonal offstage brass fanfares set against an onstage flute’s nightingale, which Mahler called the “bird of death.” And it was gratifying to see the Tanglewood Festival Chorus, all in white, off book. The chorus’s first word, “Auferstehen,” was hushed (which is the norm in a good performance) but also gentle (a pleasant surprise). “Bereite dich,” so often barked, was a full-throated cheer. Nelsons integrated the tempos of “Sterben werd’ ich, um zu leben” and the slightly faster “Was du geschlagen” in a way that few conductors do, and the climax was fervent. The reading overall was expansive at 87 minutes (excluding that three-minute pause). As a live performance (real or imagined shortcomings aside), it measured up to Claudio Abbado’s legendary 1979 BSO guesting and, yes, Benjamin Zander’s offering this past April with the Boston Philharmonic. Next to more compact, natural recordings by the likes of Otto Klemperer and William Steinberg, Nelsons’s interpretation could sound studied, but for every perplexing moment, came two or three breathtaking ones. The clarity of the orchestra was remarkable throughout; the counterpoint between the upper and lower strings felt palpable, and the winds and the brass executed with ravishing beauty. A CD of this night would be among the best in the catalog. Happy birthday Gustav!